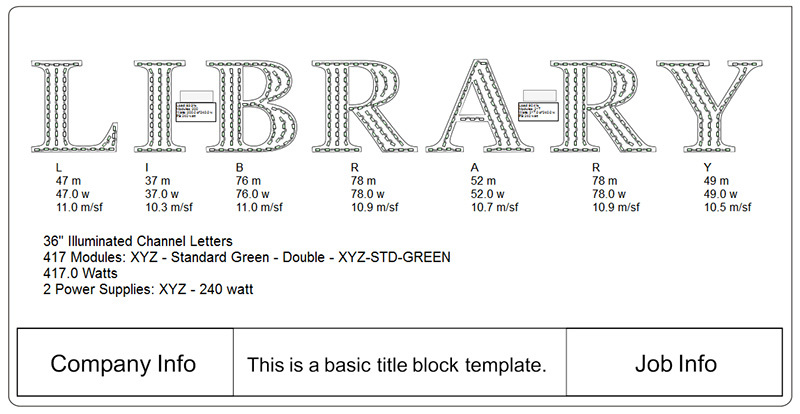 LED Wizard 7 is our next-generation software for laying out LED modules in channel letters and sign cabinets. It enables you to quickly create a complete and accurate LED layout that you can use for both an estimate and actual production of the job. This is a major upgrade to previous versions of LED Wizard, with the new PowerFlow technology enabling higher levels of productivity. You can now go from an imported file to a finished design faster than ever before. And with more design capabilities, your layouts will be more complete, more customized, and more professional. The tools available in LED Wizard 7 have been designed to take any input file and get to a completed layout as fast as possible. It can handle small letters, medium sized letters, and large letters. It can handle thin strokes, variable width strokes, and thick strokes. It can handle serifs and scripts. 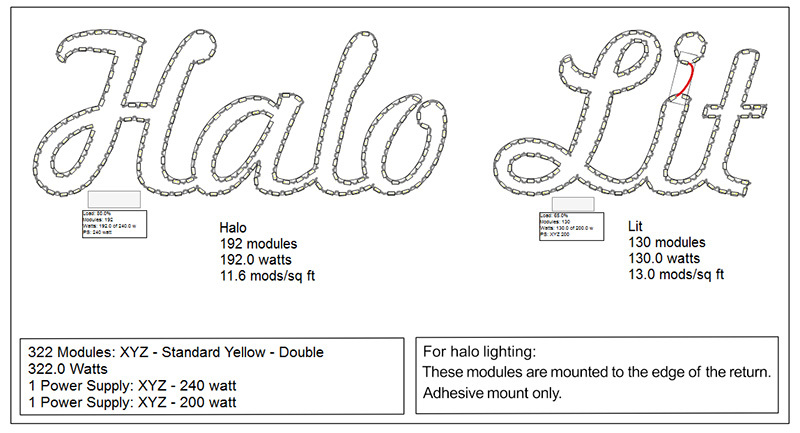 It can create layouts that are very dense, very sparse, or outlines for halo lit letters. It can handle sign cabinets of any size and shape. 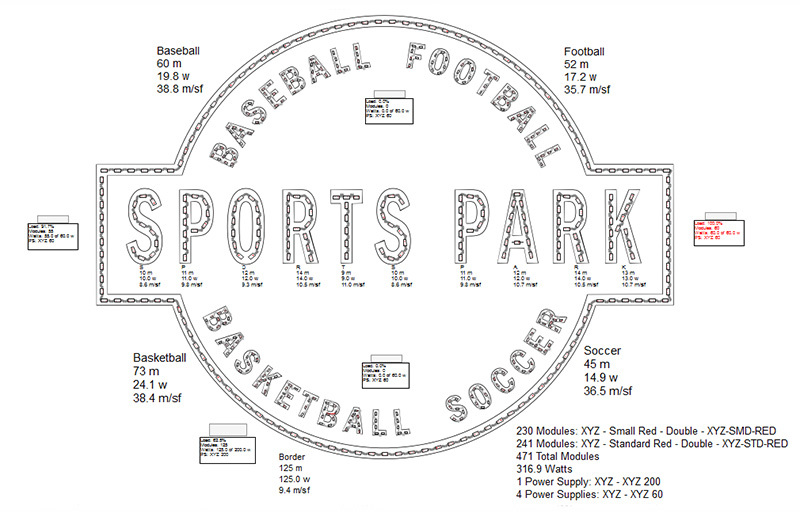 Since we can visually interpret a letter differently from a computer, there are cases where using some of the PowerFlow semi-automatic layout and editing tools can be the best approach. These tools are not only alternatives to the Auto Populate commands, but also provide numerous time-saving editing capabilities. For most functions, there is more than one way to achieve the desired result, which provides some flexibility to the user. LED Wizard 7 provides the perfect balance between automation and precise control. LED Wizard 7 has been engineered to have only one primary job: to lay out LED modules. This is not a software program that has been designed to do something else, but is being used to put modules in letters as an afterthought. 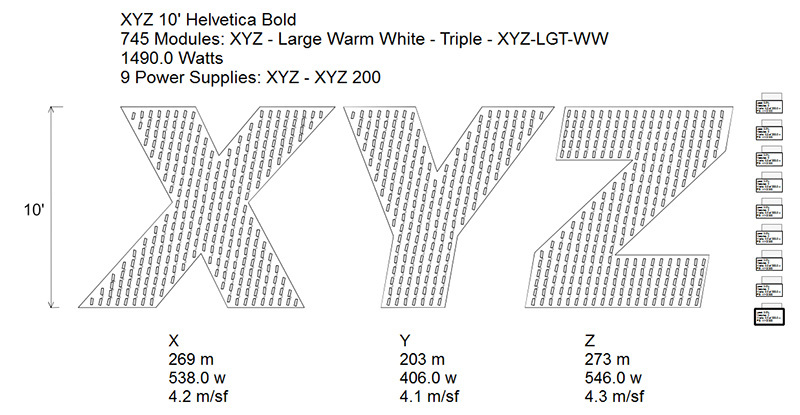 LED Wizard is a cousin of Neon Wizard, which broke ground over 15 years ago as the only software program dedicated to the design of neon patterns. Neon Wizard has been successful over the years because it solved the problems specific to the task, and LED Wizard 7 is the same way. You will not find the tools and capabilities of LED Wizard 7 anywhere else.